Honeycomb S hades are the perfect solution to an array of windows including speciality shapes and sizes for your home. 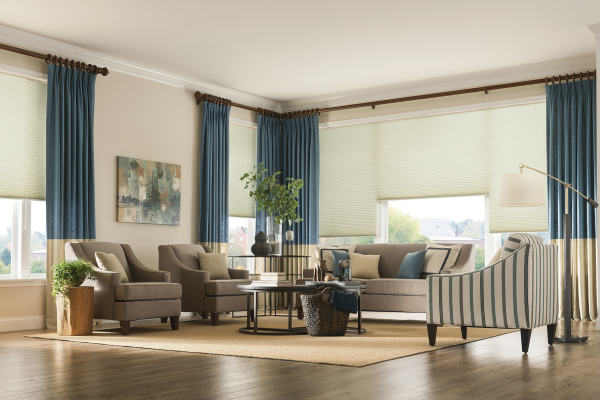 The shades come in different size pleats offering light filtering or room darkening materials to meet all your privacy or light control needs. 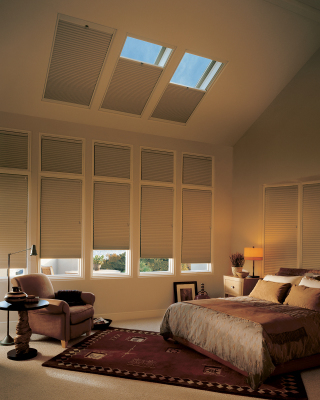 Honeycomb shades are made of a lightweight material in single, double, or triple cells offering energy efficient and insulation to your home keeping your home cooler in the summer and warmer in the winter months. 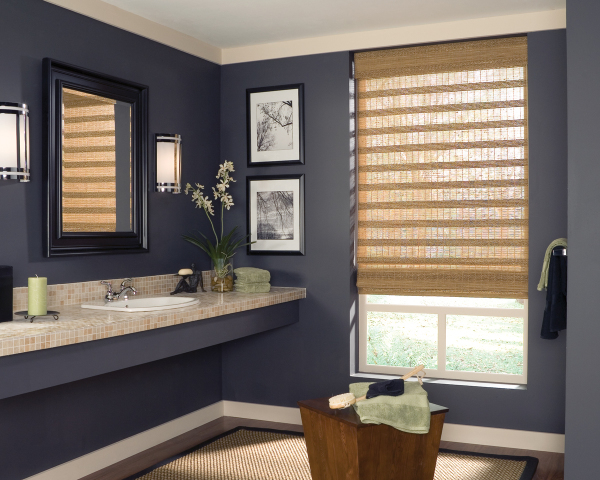 Honeycomb Shades come in array of colors and textures to meet all your deisgn needs. 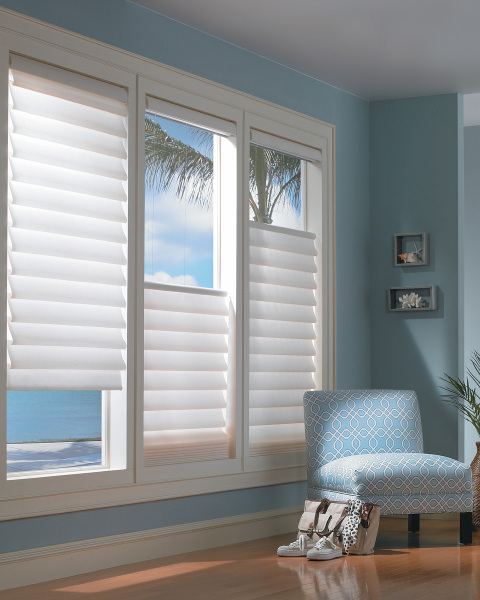 These shades offer many operational functions such as cordless, continuous cord loop, motorization and also have a top down bottom up feature making these shades a great solution for any window in your home. Roller Shades can be contemporary and practical they come in sunscreen materials filtering out the UV rays while maintaining the view and reduces glare from the sun. Blackout fabrics and light-filtering materials are offered in a multitude of colors and textures. The operation of the shades are easier with the cordless lift or the lifting clutch control allowing the shades to go up and down with ease. 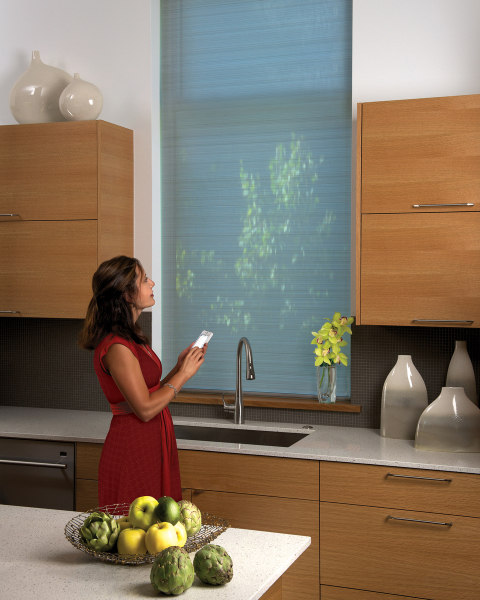 The two layer dual shades are also available offering both light control during the day and privacy at night. Matching vertical sliding panels are also available for some of the material patterns. 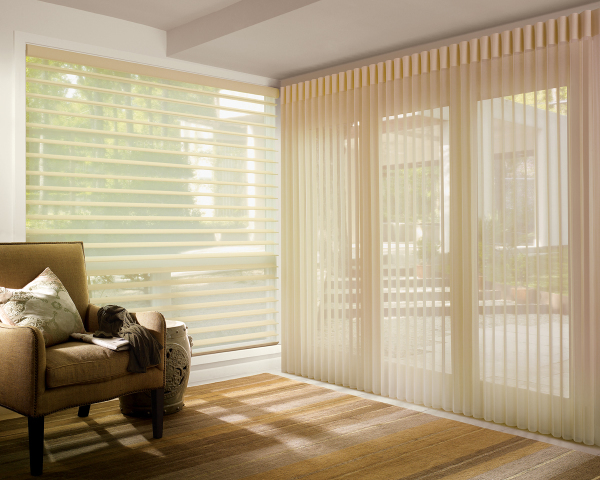 Sheer Shades are made with a soft slat of material that floats between two sheers offering a unique delicate look, great for any room in your house. Sheer Shades offer light control and privacy while diffusing glare as the vanes tilt to achieve just the right amount of natural illumination into the room. 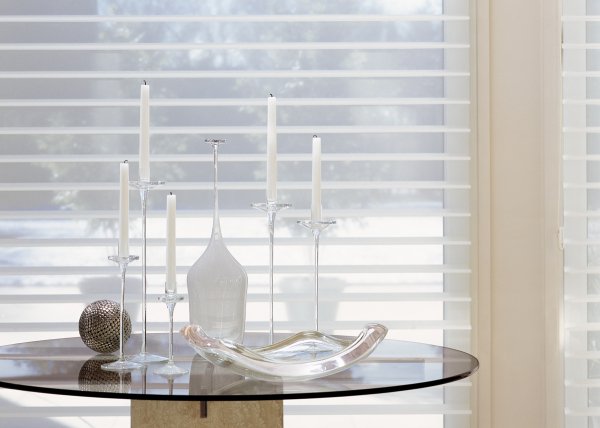 Sheer Shades are available in both a horizontal or vertical application. The shades have no cords or tapes that run through the shade to obstruct the outside views. Sheer Shades look great by themselves or with stationary drapery side panels and or a valance in a fabric material that helps to complete the soft sheer look for your home. Woven Wood Shades are a horizontal shade, also available in a vertical sliding panel application, hand crafted offering the simiplicity of natural and textural elements of woven exotic grasses, reeds and bamboo. The shades give a natural element while bringing the look of the outside in being available in natural colors and varied weaves. Woven Woods are available unlined, or with a light filterings liner, or blackout liner depending on your light filtering needs. The cordless option provides a child safety alternative to the standard cord lock operation control. Roman Shades are the perfect window treatment for any room in your home. 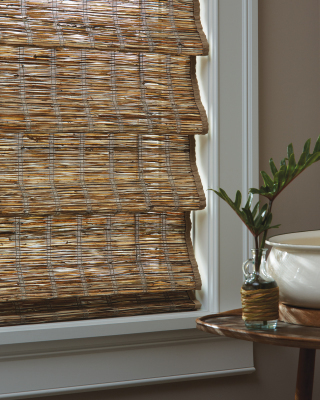 These shades come in a variety of styles, textures, and fabrics to meet any style decor. Roman shades are available with light filtering and room darkening liners depending on your privacy and light filtering needs. Some shades are available in cordless, manual or motorized operation. The modern Hunter Douglas Vignette roman shades offers a 4" full fold or a 6" flat fold style with a sleek cassette valance that hides the shade material when in the up position. for those hard to reach windows and are powered by batterier or hardwired. Windows can be operated all together or separately depending on the sun exposure. 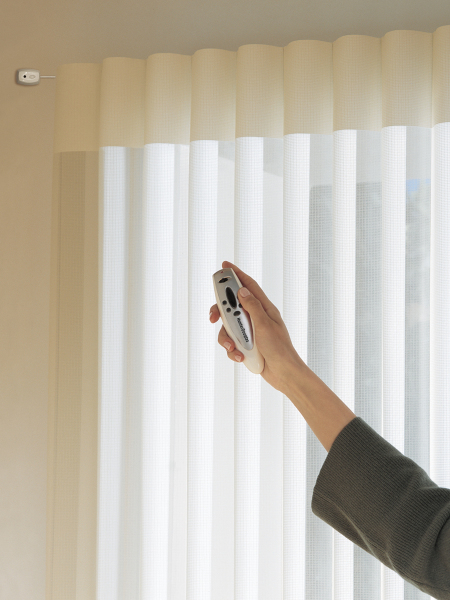 Motorization is also the perfert solution for child safety in your home.